For nearly 30 years, local couples from across New York and New Jersey have attended Bridal Expo & Trade Show events. Our team of experts is passionate about all things wedding and has designed these events to help brides and grooms plan the wedding of their dreams. This also gives us the opportunity to assist the area's top vendors and exhibiting companies in growing their businesses. These first-rate wedding industry events allow hundreds of marrying couples and wedding professionals to network while exploring new ideas for their big day. Rate and review Bridal Expo NJ in Clifton, NJ, United States! 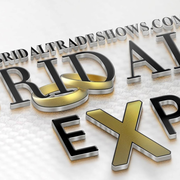 Share your experiences at Bridal Expo NJ with your friends or discover more Bridal in Clifton, NJ, United States.